Controller is listed as required (and is recommended) but game supports keyboards with a high key rollover. 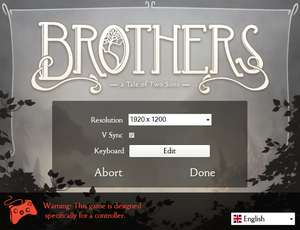 Can be played without Origin by directly starting the executable. Enabled, but nothing is ever synced. Field of view (FOV) should be set to 150. Set Field of view (FOV) to 106.26. Toggle by pressing Alt+↵ Enter. 4x by default; for higher values see Anisotropic filtering (AF). Find [Engine.PlayerInput] and place the line Bindings=(Name="L",Command="fov 150") (adjust number for different FOV) and save. In-game, press L to adjust FOV. Search and change bSmoothFrameRate to FALSE or raise MaxSmoothedFrameRate value. Note that this can cause issues with cranks for elevators, prolonging the time you have to use it. Temporarily set it back to 60 FPS will fix this. Using game launcher to change options resets changes made to config. For more information, see the Unreal Engine 3 page. Change value to desired level 2, 4, 8, or 16 and save the document. 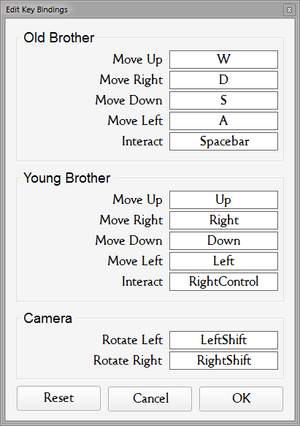 Using a controller disables keyboard controls. Can be edited manually in the game's config files. 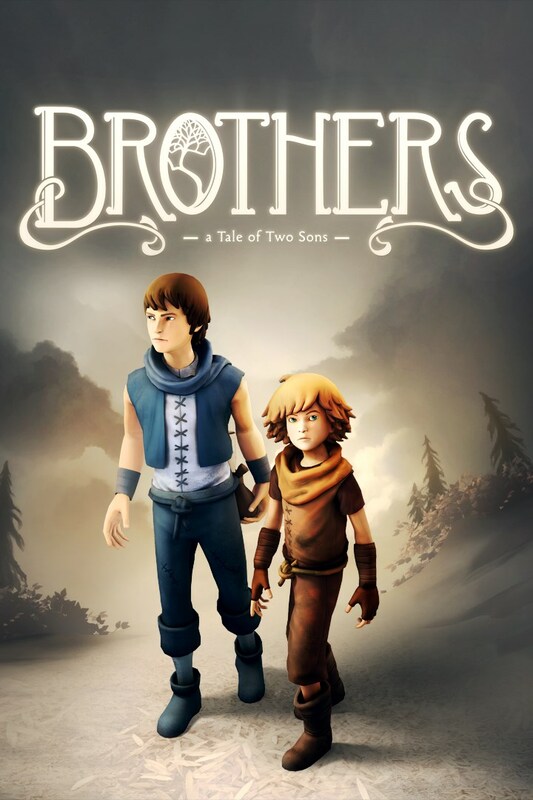 Use Helix Mod: Brothers - A Tale of Two Sons. Microsoft .NET 4 Framework and Visual C++ Redistributable 2010 are installed. ↑ 1.0 1.1 File/folder structure within this directory reflects the path(s) listed for Windows and/or Steam game data (use Wine regedit to access Windows registry paths). Games with Steam Cloud support may store data in ~/.steam/steam/userdata/<user-id>/225080/ in addition to or instead of this directory. The app ID (225080) may differ in some cases. Treat backslashes as forward slashes. See the glossary page for details. This page was last edited on 30 March 2019, at 00:10.